(PORTLAND, Ore.) – There have been news stories lately about investors getting taken to the cleaners. Cannabis dreamers that get an influx of cash for their venture, then whether maliciously or just bad luck, do not follow through, no one makes the promised profit and the debt does not get paid. Taking a chance on a new venture is a risk, and some people have found that out the hard way. On the other hand, there are some very established cannabis companies that are not a risk for investors, and in fact can be a prime target to be taken advantage of. The current upheaval of the Empower Clinics (formerly THCF Clinics) is one such tragic example. 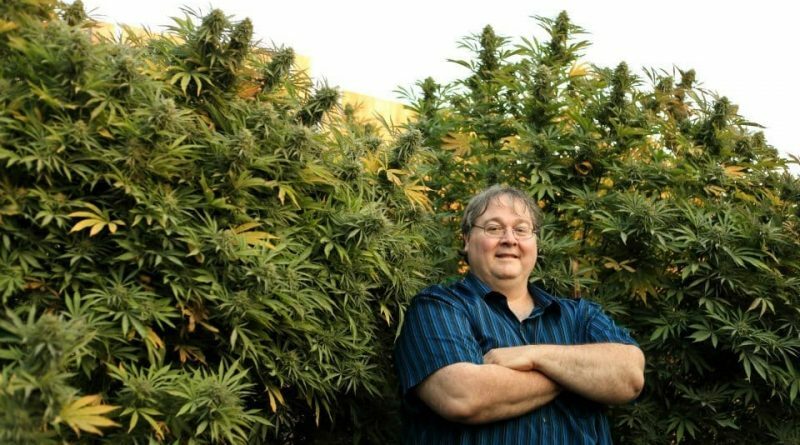 “Everything I have worked for, everything I own, that’s what they are taking from me,” said Paul Stanford, Oregon cannabis icon. Paul Stanford was fired June 10th. BLINDSIDED, he would say. He received a certified letter from S.M.A.A.R.T., the corporation he owns a majority of, telling him he was out. For reasons wrought with legalese and plenty of supposition, the S.M.A.A.R.T. board of directors opted to remove him, without ever even calling a single shareholder or board of directors meeting. 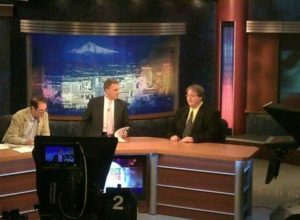 On June 9th, the lawyers representing Adira, a Canadian/Israeli petroleum and natural gas company, asked the Multnomah County Court in Portland for a TRO (temporary restraining order) against Paul Stanford to “stop imminent harm” and because they weren’t able to “take the company public in August.” That meant no access to his office, or his bank accounts. The possible loss of future financial gain for these Canadians was apparently enough for the judge to agree, as she made her ruling in less than 20 minutes. LESS THAN 20 MINUTES. They gave the court $10,000 in bond, which is less than an day’s average gross revenue for these multiple clinics, and the judge allowed them to remove Paul Stanford from his own company. Paul Stanford was “hit” with another wave of potential personal destruction: They want him to stop using his name. His name. 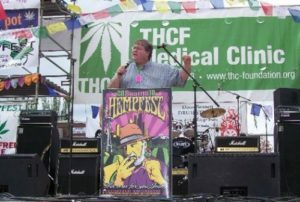 They also want him to stop using “THCF” and The Hemp & Cannabis Foundation, which is an Oregon non-profit, and has nothing to do with their “deal”. “They haven’t paid me a penny, but they’ve taken everything I’ve owned in my whole life,” said Stanford. The corporation doesn’t mind capitalizing on the past 15+ years of Stanford’s dedicated effort. Now, “the Canadians” also claim to own any/all websites that he’s created. If they want to build on the company’s good will and increase connections, this is certainly an odd way to start. “Paul Stanford” is one of the most trusted names in cannabis around the globe. 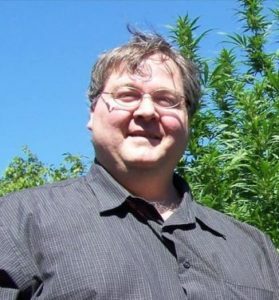 He has been an cannabis activist since 1978, and started working on the Oregon Marijuana Initiative in 1984. He has never stopped. He opened the first clinic in 1999. 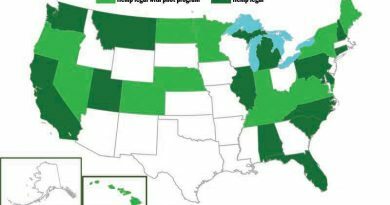 The Hemp and Cannabis Foundation (THCF) began in 1999 in Portland, Oregon, and with Stanford at the helm, evolved into the nation’s premier physician’s clinic, helping over 250,000 patients in 12 states become a certified medical cannabis patient. Stanford wrote and paid to put Oregon’s Measure 80 on the 2012 ballot to legalize cannabis for adults and hemp for fuel, fiber and food. Measure 80 garnered 47 percent of the November 2012 vote. Paul Stanford is a globally-renowned expert and featured speaker at national and international cannabis conferences, forums, and festivals. Stanford regularly participates in numerous events, most recently Expoweed Mexico, and the Kyoto Hemp Forum in Japan; as well as the Expogrow in Spain, the annual Great Midwest Marijuana Harvest Fest in Madison, Wisconsin, the Seattle HEMPFEST, the world’s largest annual cannabis protestival, and many more. That level of experience cannot be replicated, and will not cease to exist, regardless of whether he goes by a name. 23 Million Shares …out of the nowhere into the here. How could this happen? Paul Stanford is a smart guy; it makes no sense. Right. In general, to maintain control of your business, you want to keep 51%, or more. It’s also mandatory that the people you do business with are upfront, have the same vision for the future, and work with agreed-upon policy and procedure. In fact, there are rules about such things. Paul Stanford believed these standards were well in hand when he accepted the offer from Adira Energy in 2015. Stanford kept majority ownership with 51% of the shares, but received no money. In June, he was surprised to discover that unbeknownst to him, 23 million shares had been added, and he’d lost majority control without even having a meeting. He steadfastly rebukes their allegations. “They are liars,” Stanford insists. Instantly, Stanford’s share in his own company was reduced to as low as 3%. According to Stanford’s attorney, the issuance of 23 million shares being added is a deliberate attempt, done in bad faith, to dilute Stanford’s shares in S.M.A.A.R.T. On June 10, Paul Stanford formally objected to S.M.A.A.R.T. conducting a non-brokered private placement of 23,000,000 common shares at the price of .01087 CAD per share. He disputes the purported amount of his shares in S.M.A.A.R.T. along with the authority of Mr. Bajic to act on behalf of S.M.A.A.R.T. What should the value of the shares be? More. According to attorney Jessica L. McConnell, the “new” offering price of each share directly conflicts with the value of the shares in S.M.A.A.R.T.’s historical financial statements, representations made to S.M.A.A.R.T.’s investors and Adira Energy, and presentations made directly to Paul Stanford. Jessica McConnell, Stanford’s attorney, says he has repeatedly made written demands formally calling for an initial shareholder meeting, and, to date, Mr. Bajic has refused to hold a shareholders meeting. He also made a request for documents to be received no later than June 22; he said they made promises and refused to provide documents. Nothing has come through. “They are refusing all discovery whatsoever,” Stanford said. Over a quarter of a million people have entrusted the Empower Clinics with their personal medical records since 1999. They expect their information to be protected. Have the medical records of the Empower Clinics been sold? Unconfirmed sources say, Yes. Ample Organics is the probable buyer, a data compliance company that works with medical marijuana businesses. This is a shocking revelation. Hearing about private medical records being sold is like fingernails on a chalkboard. The 270,000 records are estimated to be worth about $27 million, if sold. David Dodge, M.D. has served as attending physician at the THCF (now Empower) clinics since 2004. He has seen thousands of patients, and is himself a patient of a different doctor at the same clinic. On June 12, Dr. David Dodge made a formal request that “Empower Clinic and its new usurpers, SMAART (BC) and SMAART (Nevada), to be denied to his, and his patients medical records”, or that they sign a promise with assurance that they will not share the medical records in any form, or that all his records be deleted. “I have now been told, and believe, that the new usurpers of Empower Clinics intend to sell my patients’ and my own private, confidential, HIPAA-protected records to other businesses,” Dr. David Dodge wrote in his declaration. In 2014, Stanford was working to pass Oregon’s marijuana initiative. He was approached by a prospective Canadian investor, but declined the investment in lieu of a donation for the initiative. He told them if they came through with $400,000 for the Oregon Cannabis Tax Act petition campaign, he would work with them to “go public”. “They created a debt for $550k, but, when the money arrived in mid-June, two weeks before the signature turn-in deadline, it was too late to qualify OCTA 2014,” Stanford said. A rocky start perhaps, but still worth moving forward for the greater cause, which was to help more medical patients. The Canadians named the new Vancouver, BC-based corporation Stanford Medical, Agricultural and Applied Retail Technologies, Inc. (S.M.A.A.R.T. Holdings Inc.) in 2015. Then, in November 2015, the Canadians moved to merge with Adira Energy. Adira is not a well-known name in the cannabis community, because it has nothing to do with cannabis. It’s an Israeli gas and oil exploration company, listed in the Toronto stock exchange, owned in part by billionaire George Soros. Ethan Nadelmann is drug policy advisor to George Soros, and backed a competing initiative petition campaign which became Measure 91. Though OCTA failed to qualify, Stanford had been in dozens of meetings drafting Measure 91, and campaigned for it in the Summer and Fall of 2014. George Soros is pro-pot, and he is one of the 30 richest people in the world. He is notorious, dubbed “The Man Who Broke the Bank of England” for making a profit of $1 billion during the 1992 Black Wednesday UK currency crisis. In 1994, with the philanthropic support of George Soros, Ethan Nadelmann founded the Lindesmith Center; that group merged into the Drug Policy Alliance six years later. Soros funds the nonprofit with roughly $4 million a year via his Foundation to Promote an Open Society. According to The Washington Times, Soros has spent at least $80 million on the legalization effort since 1994, through a network of nonprofit groups. This is the kind of backing that could make all the difference for the future of medical marijuana in America. Or so Stanford once hoped. “If only I’d known this has always been a set up to take our data and stop my ability to help fund political change,” Stanford remarked regretfully. “Now these Canadian usurpers have transferred our patients’ private medical records to a Canadian marijuana data company called Ample Organics, outside the jurisdiction of US medical privacy laws,” Stanford said. Paul Stanford has been fighting for other people’s rights most of his adult life. Sure, he’s had his trials and tribulations, and has faced the music himself many times. He’s always come through the difficulties stronger than he was before. This is a unique event. Most people never have to fight for their livelihood, let alone their very name. Their game strategy is to “Out-lawyer” him, but they may be disappointed. These tactics may work with others, but not with Paul Stanford. He has a long history of survival and ultimate success. He says he will never give up. That sounds like a promise. Original Story: www.Salem-News.com. Reprinted with special permission. Well this definitely interests me because they have my records! Can we be added? Is there a civil suit yet? I would get copies of all your records from them…. I have been on both sides of the fence with Paul. Has helped me tremendously but also screwed me. I think it was his “team” that talked him into this. Shame really. He doesn’t listen to those he should and worships those he should not but that happens a lot in this industry. Lots of fake people out there willing to hurt anyone for a dollar. Wow! I am sorry to hear this. Not performing due diligence is not a good idea, in any situation, but it is not a violation of karma. Especially when the source and operation of how to screw people, is all done in another country. Removing those medical records was also NOT his doing, so why is he facing karmic law for that? He isn’t. I love Canada and won’t blame the people there, but I hate suits when they are crooked enough to water down your shareholdings, so they can kick you out of your own business. I bet they even altered some contract someplace so they could do it, without any notification of any kind. That doesn’t seem bit underhanded to you??? Aren’t business partners supposed to be on the up and up with each other? Keep EVERYONE in the loop? Remember, Karma has EVERYONE’S number and address. Oh, that’s right. Silly me. Business is a cut throat affair, where you will sell your own grandmother, for a quick buck. Your comment even makes YOU sound like you dreamed it up. Well, I suppose some folks need to kick others when they are down, to get their jollies. Don’t lecture me. You have no personal knowledge of my knowledge of Paul Stanford or THCF so your comment is fu#ked up. Mind your own business! I must ask, is “a violation of Karma” even a thing? The taxation and regulation of marijuana in Oregon will finally rid the industry of the activists , grifters and thieves ! Even though I was against regulation , it has had many positive things happening for Oregonians as well as others … I am sorry to hear an Oregonian is getting scewed by out of state money , but greed has had its way with many ….. Greed breeds pesonal disaster …. I have been working on MJ legalization since 1981. I remember when Bopaul (I call him that after the Bophal, India disaster) Stanford showed up in Portland in his Mother’s car (which he had stolen). He has been screwing- over people ever since. He went to China and came back with hemp fabric and hemp paper, selling investors pieces of his business (among them “Ask Ed” Rosenthal). After analysis by independent labs, it was proven that neither the fabric nor the paper had ANY hemp content! The investors are (so far as I know) still waiting for the court- ordered repayment. I have long believed Bopaul to be one of the most dishonest and despicable actors in the MJ movement. The loss of “all I have [ripped-off] made” is TRUELY karma! I can think of no one more deserving of this occurrence. If you didnt like my comment, why even let it bother you! Ignorant people always have to say some garbage, just to try to bring other people down. You could even block me, I don’t care. It is if you have experienced it, or even know enough to recognize when it is happening to you. Like you said…ignorant people (you) always have to say some garbage. You don’t even know how to read otherwise you would see that I clearly know who Paul is (and even worked for him) which is why I said what I said. …………………………………………. Wtf is cannabis doing even connecting with an “Energy Company”? Sounds like greed got stung fingers. Bad decisions Stanford. Out of country company too? Seems like somebody failed to attend business 101. I don’t feel his pain personally.